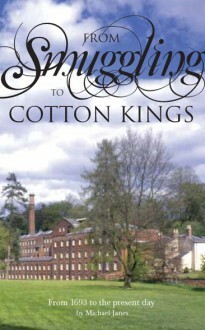 From Smuggling to Cotton Kings deals with the history of a family, which helped to shape the economic fortunes of Britain for more than two centuries. In 1715, John Greg sailed from the family home in Ayrshire to seek his fortune in Ulster. He soon built a successful business as a merchant. Half a century later two of his grandsons, Thomas and Samuel, sailed back to Britain and founded businesses of their own. Thomas in banking and finance, Samuel in textiles. Samuel became a prominent figure in the development of the cloth industry. He helped to take the industry forward by investing heavily in the adoption of waterpower. Meanwhile brother Thomas made a prudent entry into the marine insurance business, at a time when Britain’s overseas trade was expanding at a prodigious rate. By the end of the 18th Century they had built up large fortunes. After a serious setback caused by the economic slump in the aftermath of the Napoleonic Wars in the early 19th Century, business recovered and by the time the brothers died in the 1830s they were both, in today’s terms, multi-millionaires.